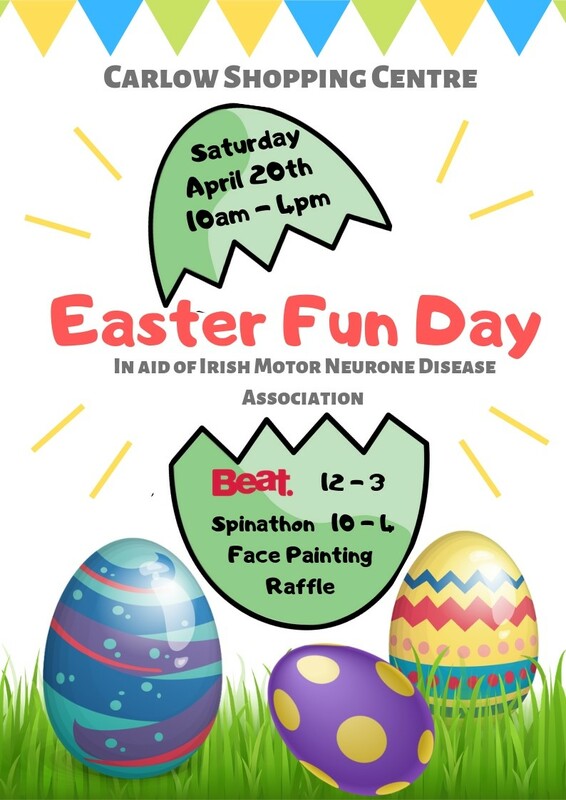 Colleagues of John Farrell are helping raise vital funds and awareness for the IMNDA witha fun packed day at the Carlow Shopping Centre this Easter Saturday! There is something for all the family with a 6 hour spinning class, face painting, giveaways, bucket collections and a massive raffle with prizes from Mount Wolseley, Perdy and Polly, Lynda Maher, Douglas Jewellers and McCauley’s to name just a few! Raffle will take place between 10am and 4pm – the tickets are €2 per strip or 3 for €5. Beat 102-103 are on site from 12pm to 3pm. This Easter Saturday make a difference and have some fun at Carlow Shopping Centre!